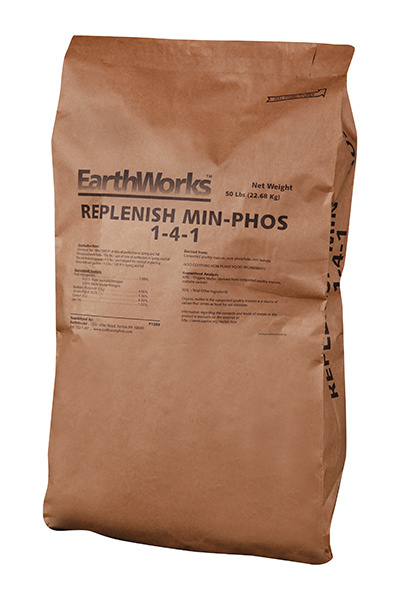 Replenish Min-Phos is a blended rock phosphate-based and organic based nutrient source. Both hard rock and soft rock phosphate along with dry humic acids are blended with Replenish compost and then prilled to create a high phosphorous product that is easy to use and spread. Hard rock phosphate is a very sustainable rock mineral that provides an effective slow release form of phosphorous. It is also rich in calcium and a host of trace nutrients. Recent studies have suggested that rock phosphates may be as available as more soluble forms of phosphate when nutrient tie-up is taken into account. 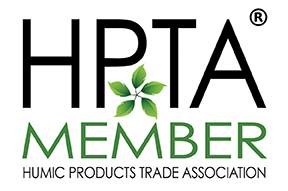 In fact, soluble forms of phosphates often start by acidifying rock phosphates but these soluble materials are very reactive and tie up quickly, especially in high calcium or high magnesium soils. 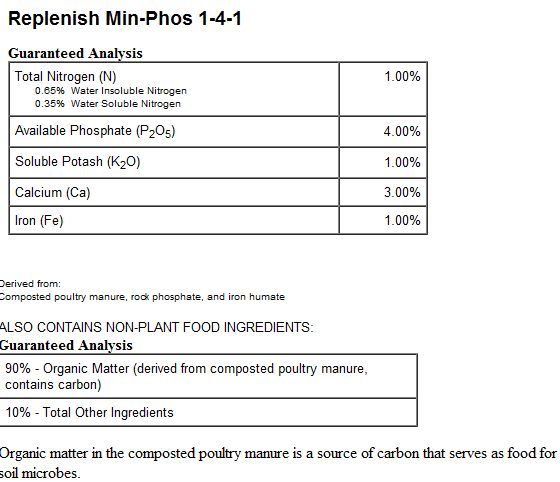 Min-Phos also provides the advantage of soil re-mineralization that not only will help with soil structure but will aid in the proliferation of beneficial bacteria.